There are Two Ways to Make a Fishermen Happy!! There are two ways to make a fishermen happy!! 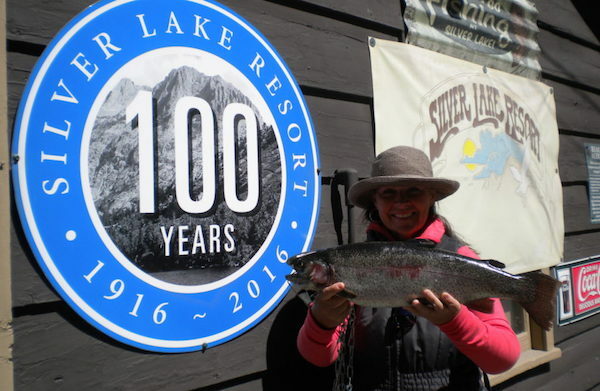 One is to catch a stringer full of fish ten minutes after going out on the lake – this is not happening here at Silver Lake lately!! 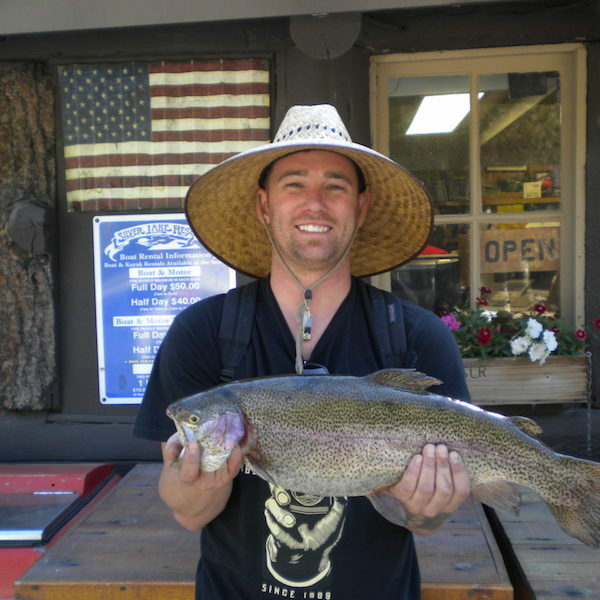 The second way is for a fishermen to catch a nice sized Rainbow weighing in somewhere between two and seven pounds. Now this is exactly what is happening here at Silver Lake over the past two weeks!!! 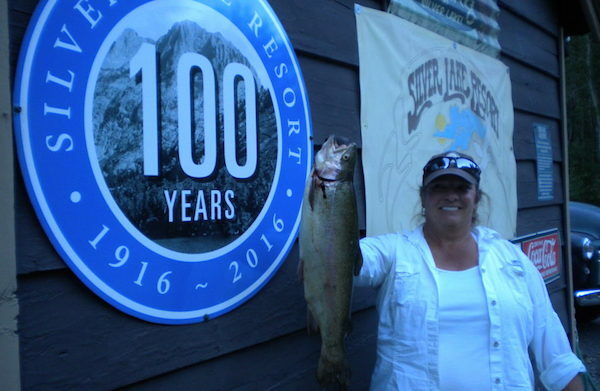 We have not seen very many people catching a lot of fish, but we have seen a few people catching some really nice Rainbows both from the shore and from a boat. Now this makes most fishermen pretty happy, at least for a little while. 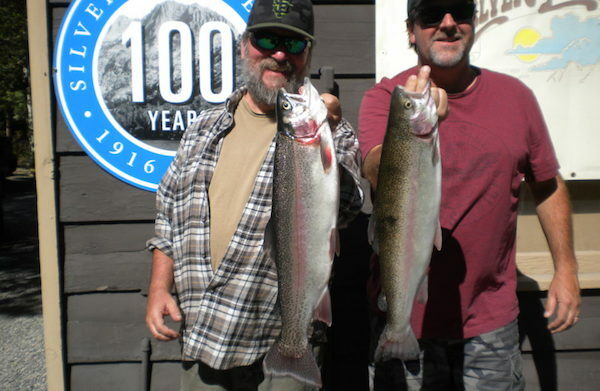 These nice Rainbows where mostly stocked last week thanks to a great load from Desert Springs Oregon. 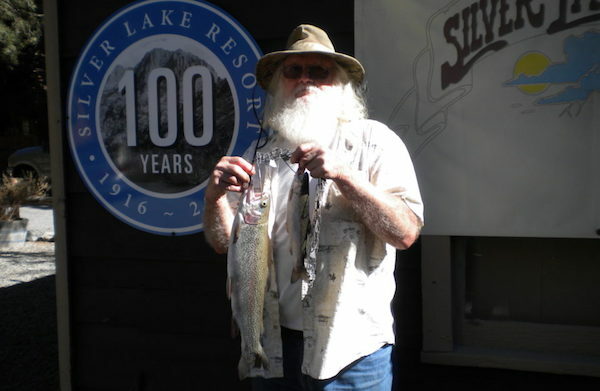 We are on schedule to get two to three more loads of these bigger Rainbows over the last four weeks of our season here at Silver Lake as we try to boost the happiness of our fishermen, which is a hard thing to do some days. The Rainbows we have seen come in over the past two weeks have been caught mostly with Berkley products; Mice Tails, Power Baits with Garlic and Pinch Crawlers. Some anglers have done well trolling a flasher with a worm behind it. It has been windy this past week, so trolling has been a little tough but those die hard fishermen are putting in the time and getting rewarded with the occasional 3 to 5 pound Rainbow. Pictures don’t lie, so enjoy and think about how you are going to get yourself up here for the last month of the Season here at Silver Lake Resort. 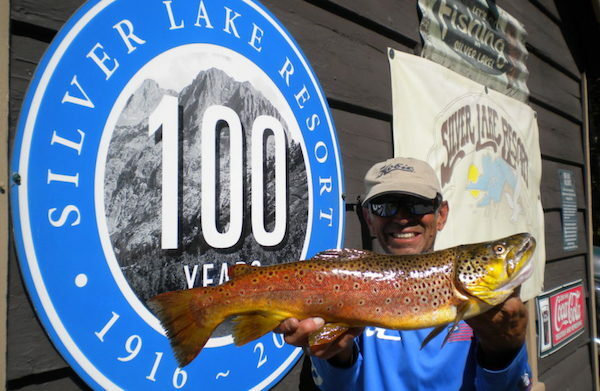 The fishing for big guys should continue to stay good and the Fall colors should be going off in the next week or so. Keep an eye on Mono County Tourism’s Facebook page as they will be updating where the fall colors are most spectacular throughout the Eastern Sierra Region. 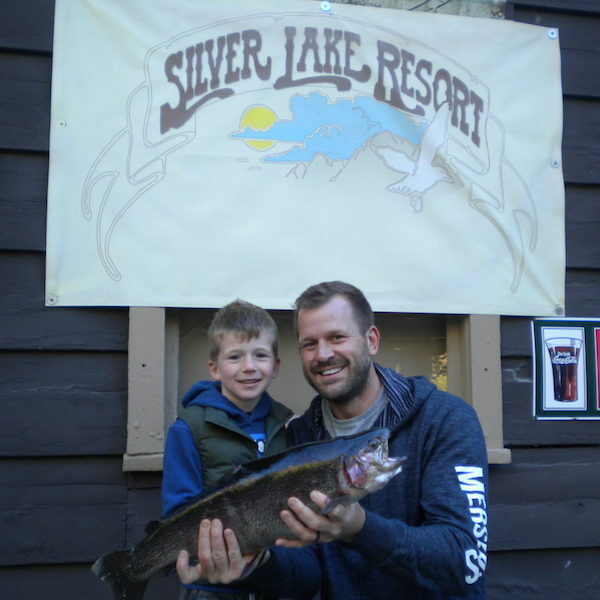 Silver Lake Resort Fishing Report!